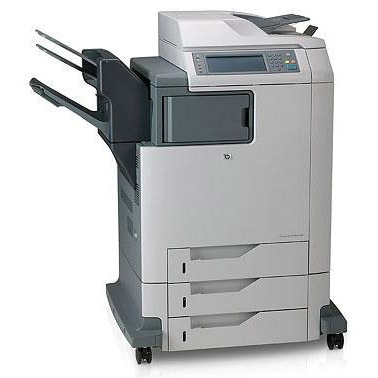 You depend on your HP Color LaserJet 4730x mfp printer to produce the work your office needs. This dependable multifunction color laser device serves as a printer, copier, fax machine, and scanner. It’s got automatic duplex capability and 30 ppm print speeds for fast, efficient work. No matter what you’re working on, this multifunction printer (MFP) can get it done right. Buying toner for HP Color LaserJet 4730x mfp printers can be tricky if you’re working with a budget. Original equipment manufacturer (OEM) products perform beautifully, but they’re also associated with sky-high OEM prices, which many businesses can’t afford. 1ink.com’s remanufactured HP 644A toner produces the same quality print work as OEM cartridges. They’ll also install just as easily as an OEM unit and provide you with the same impressive product specs, all for a much lower price. If you’re having a hard time affording OEM HP toner, let 1ink.com help your business. Our prices are affordable and will stay within any office’s budget, all while giving you the performance and print results you need.